L/Sgt 53087 J H Brindley – a lad from Dudley: Dudley Herald, 26th January 1918. Contributed by John Hale via the 18th Battalion Facebook Group. The sad news has come to had that Sergeant John Henry (Harry) Brindley has been killed in action. He was the son of Mr. and Mrs. J.H. Brindley, of 54 Tower Street, Dudley. He enlisted in a Canadian Regiment two months after the outbreak of the war. He had then been in the Dominion 15 months. Before leaving England he had always lived in Dudley. He was an old scholar of the Baylie’s School, Tower Street. At the age of 14 he won a medal for saving the life of a school chum, who sank in the baths during the swimming sports. He had been on active service two years, and in that time had only received a slight wound. He was killed on November 11th. He was 22 years of age. and before emigrating to Canada, was employed at Messrs. Grainger and Smiths, High Street, Dudley. 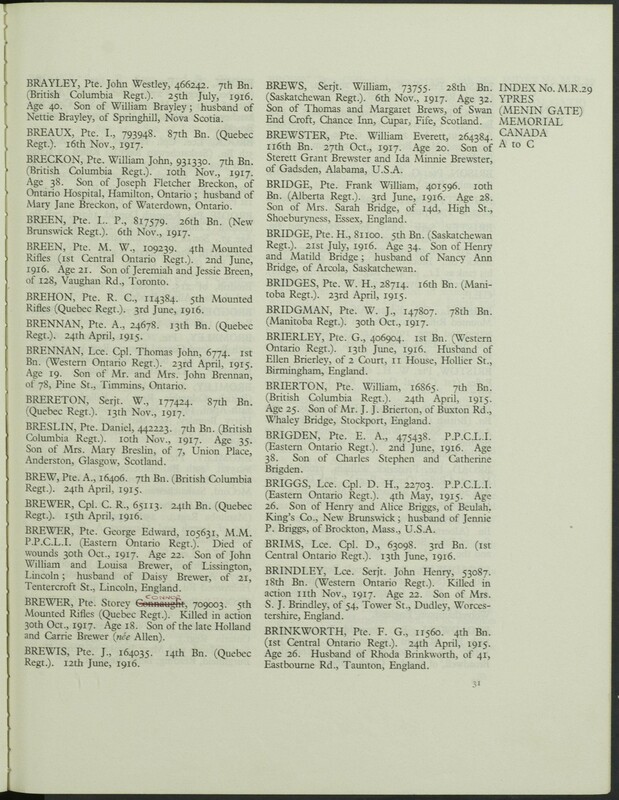 Summary of Service for NAME OF SOLDIER AND REG. No. October 30, 1914 Enlists C.E.F. Enlists in London, Ontario as a private soldier with the 18th Battalion. November 9, 1914 Two vaccinations for typhoid. April 29, 1915 Arrives England Via the S.S. Grampian with the original men of the 18th Battalion. June 1915 Assigns Pay Assigns $15.00 per month to Mrs. S. Brindley of 54 Tower Street, Dudley, Worcestershire, England. June 10, 1915 Absent Without Leave Forfeits six days pay for being A.W.L. This was an ever-present problem for the C.E.F. as men from the British Isles wanted to visit family. September 15, 1915 Disembarks for France As one of the “originals” he, along with the rest of the Battalion, having trained in West Sandling since April, are off to the Front. July 7, 1916 Fills out Military Will Witnessed by Private Frederick Royal Green (soldier not found) and Captain G.H. Emery. He bequeaths his real estate and estate to Mrs. Sarah Brindley of 54 Tower Street, Dudley, Yorkshire, England. January 21, 1917 Granted Leave Granted 10 days leave. January 24, 1917 Promoted Promoted to Lance-Corporal as Oudot, A.C., reg. no. 53149, was promoted. May 2, 1917 Promoted Letter dated December 31, 1916 indicates that this soldier was promoted to the rank of Corporal as Cpl. J. Evans, reg. no. 406521 was promoted. May 4, 1917 Promoted Promoted to Lance-Sergeant. Per promotion of L.Sgt Oudot. May 6, 1917 Wounded Wounded slightly (superficial) right eye. 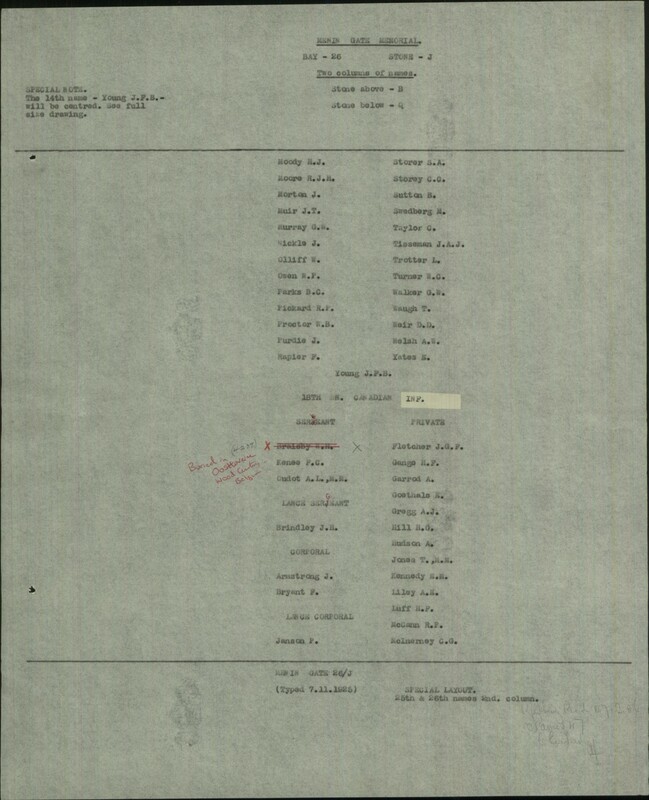 May 7, 1917 Wounded at 4th Canadian Field Ambulance Later transferred on the same date to 1st C.F.A. 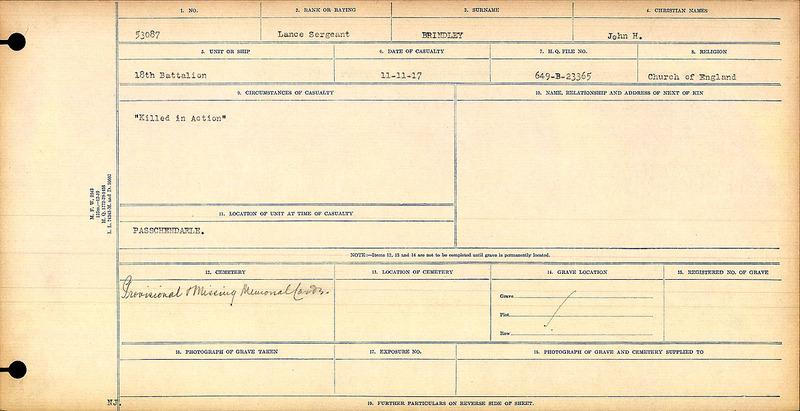 May 12, 1917 Discharged from 1st C.F.A. Discharged and returns to unit. November 11, 1917 Killed in Action Killed near Passchendaele Church according to his Platoon Commander, Lieutenant J. Morgan in a letter to the family. 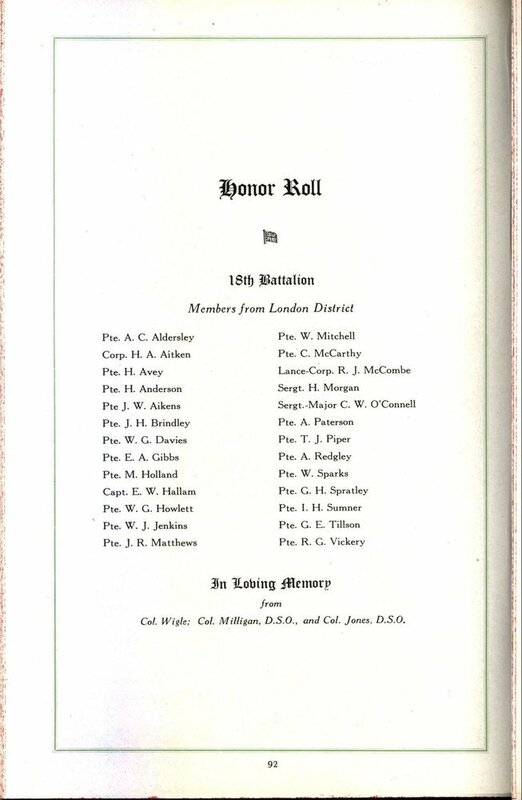 18th Battalion Honour Roll. Source: The Regimental Rogue.